Don't know what it is. 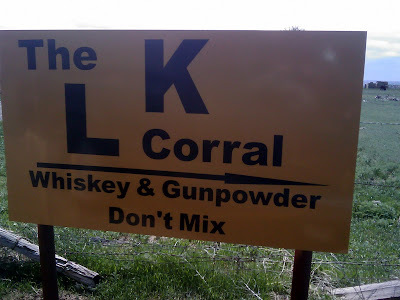 In fact, I've never heard of the L K Corral. Went down a road I don't regularly drive and there was the sign. I'm sure it wasn't there the last time I was on that road, which had to be within the past year. However, seemed like good advice, so here's the pic.